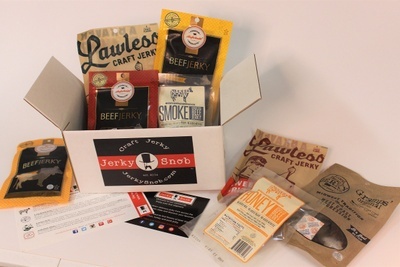 Enter your email address below to receive a notification when Jerky Snob starts accepting new sign-ups! 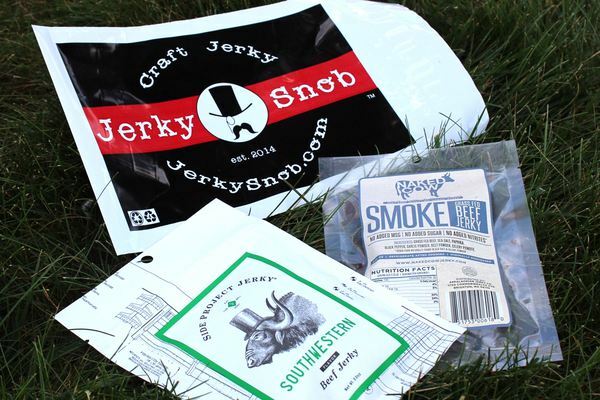 Enter your email address below to receive a notification when Jerky Snob is accepting new sign-ups again. **Shipping not included. New orders ship on Tuesdays and Thursdays. After you receive your first package you will enter our regular rotation of shipments on the 22nd of the month. Order the 1-7th, your 2nd package ships on the 22nd of the same month. Order the 8-31st, your 2nd package ships on the 22nd of the following month. 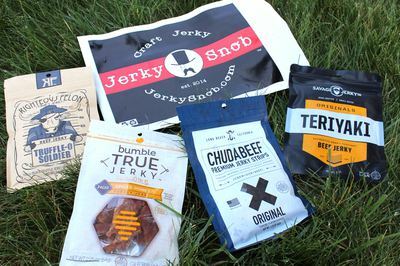 Premium jerky you will love! 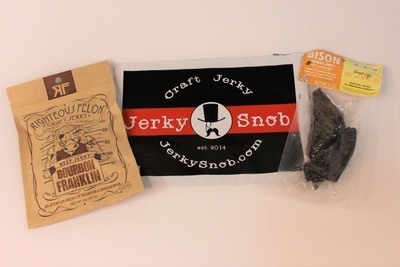 Jerky Snob is your new favorite jerky of the month club. 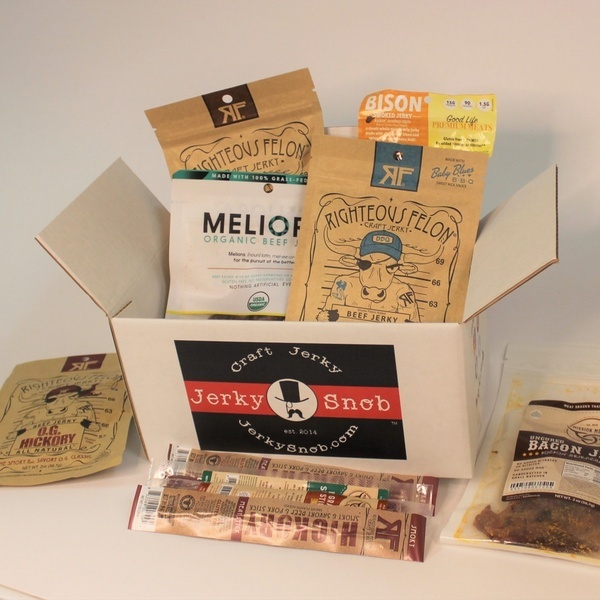 We deliver healthy, artisan jerky to your door every month in order to fill all of your gifting and snacking needs! 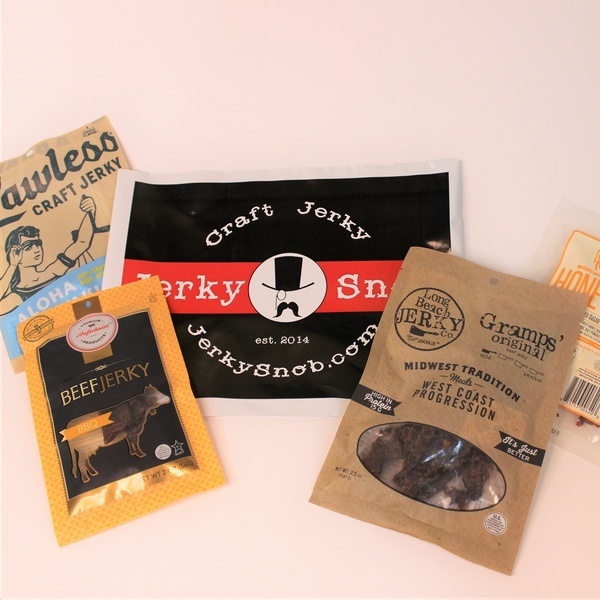 Our mission is to select only high-quality jerky made with ingredients you will love. See SPECIAL notes on the right about SHIPPING. Perfect GIFT for that person who has everything! 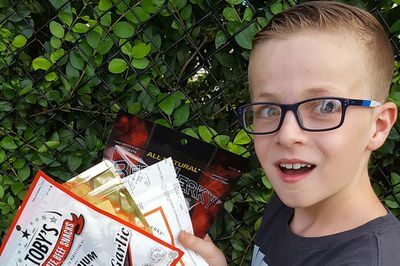 Featuring flavors from different jerky makers each month! Excellent jerky. I really enjoyed this month's selections. I have ordered this subscription for both my son-in-law and my husband. Can you imagine grown men waiting by the mailbox for the delivery? This gift idea made me a real hero. They love the selection each month. 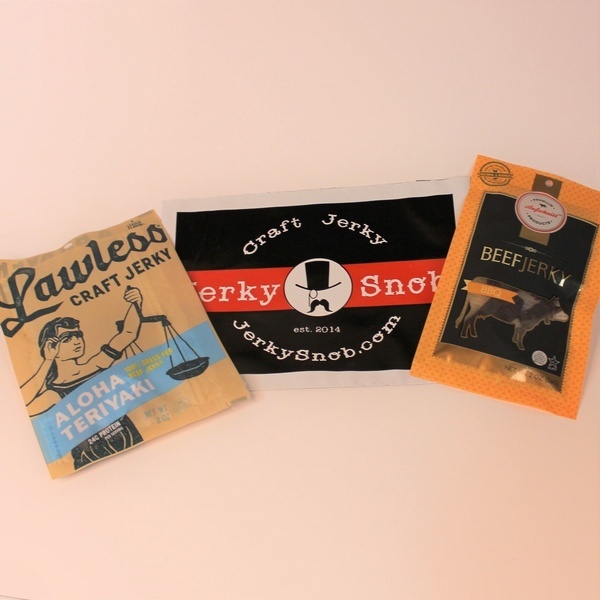 A fantastic mix of jerky and sometimes snack sticks. 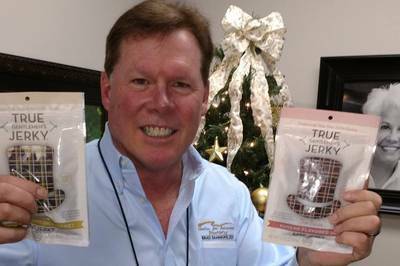 Perfect for the one who LOVES their jerky! Our most popular package for 3, 6, and 12 month gifts.